With the emergence of social media, you would think fans behaving terribly is a fairly new thing, but that couldn’t be further from the truth. Back in the 80’s, if you wanted to talk crap to a professional athlete, you had to write it down in a letter and send it to them. 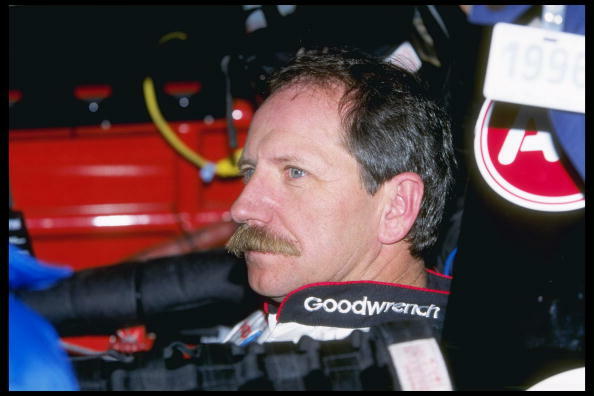 For one guy, he took his dislike for Dale Earnhardt Sr. to an entirely different level. NASCAR Reddit on Saturday shared what user XerevoFaris76 claims is a letter sent to longtime NASCAR CEO Bill France Jr. in 1987. In that letter, a clearly upset Bill Elliott fan took his frustrations out on Earnhardt after he bumped into Elliott in the 1987 NASCAR all-star race and caused him to lose a tire. That unnamed fan took it further than just condemning Earnhardt. He threatened to kill him later in the season. “Dear Mr. France, “When NASCAR comes north to Poccono, Watkins Glen, and Dover I suggest you leave Dale Earnhardt home. If he comes to race I advise him to 1) have some bodyguards, or 2) wear a bullet-proof vest. I will be at one track, probably all three with my 30.06 When I get a clear shot…. Unfortunately, letter threats have turned into social media threats, but something of this magnitude would definitely put a crazed fan in jail for a while, and security around an event would be doubled or even tripled.